The Best Candle Making blogs from thousands of top Candle Making blogs in our index using search and social metrics. Data will be refreshed once a week. San Francisco, CA About Blog This community is designed for people to show off their awesome candle creations and share recipes and techniques. Facebook fans 1,182,936. Twitter followers 540,597. About Blog Ask questions, get answers, share ideas on Candle Making. Facebook fans 66. Twitter followers n/a. About Blog DIY Candle Making ideas, tutorials and inspirations for Holidays and celebrations. Facebook fans 392,704. Twitter followers 49,248. About Blog We talk about scent, dye, wax, wick and a lot of other stuff. I love candles and candle making! I live it, I breath it sometimes I even bathe in it! I would love to share tidbits of my creative process with you. I write my articles with the professional candle maker or serious hobbyist in mind. South Deerfield, MA About Blog This is the official YouTube account for America's Best Loved Candle™ - The Yankee Candle Company. With over 150 fragrances, we offer the world's largest and most compelling selection of candle and home fragrance scents. Facebook fans 1,794,975. Twitter followers 101,524. Doncaster, UK About Blog The leading supplier of candle making supplies in the UK & EU. Providing the highest quality candle making ingredients. Facebook fans 1,079. Twitter followers n/a. Australia About Blog We are just everyday people who love what we do! We are not corporate, we do not have share holders. We've learned through trial and error over the years and want to pass on our knowledge of candle making to our lovely customers. So read on, learn lots and give it a go! Facebook fans 6,961. Twitter followers n/a. NY state About Blog GreenTree Home Candle is a small US company that designs and produces distinctive candles handmade from 100% Beeswax in the Catskills. Facebook fans 996. Twitter followers n/a. Cheshire About Blog At Cheshire Workshops we offer a range of fun family days out. From candle making to crafts, you're guaranteed to find something the whole family will enjoy. Facebook fans 4,426. Twitter followers 186. Wales, United Kingdom About Blog Candle Workshop & Studio on the Isle of Anglesey. We run candle making courses throughout the year. Our mission is to offer a fun and creative candle making experience. Facebook fans 1,557. Twitter followers 774. Albany OR About Blog Learn how to make homemade soy candles! Articles on soy candle making and how to start a homemade candle business. Facebook fans 7,536. Twitter followers 291. New Zealand' About Blog Candle Creations is New Zealand's leading candle and soap making supplies store. Wholesale rates on soy wax, fragrance, glassware, wicks and accessories. Facebook fans 2,421. Twitter followers n/a. Durham, NC About Blog Welcome to the official CandleScience YouTube Channel were you will find helpful information, tips, and step-by-step instructions for a variety of candle making projects. CandleScience is your source for everything you'll need for candle making, plus expert advice. Facebook fans 17,734. Twitter followers 1,534. Hampshire, UK About Blog How to make candles with the UK's leading supplier of custom candle making kits and equipment. This channel also includes videos for people looking to sell candles, especially in the UK. Facebook fans 2,497. Twitter followers 223. Wisbech, England About Blog At Randall's Candles we provide everything you need to create your own beautiful candles, including beginner candle making kits, moulds, containers, dyes, fragrances, wax, wick and accessories. Our extensive range of candle making supplies is of the highest quality, and keeping prices competitive we offer spectacular value to hobbyists and candle makers across the UK. Chicago, IL About Blog Milton and Margie's Soy Wax Candles creates handmade, 100% soy candles made in reused containers, sustainably making your space smell nice. Our soy wax is made in the United States, supporting American farmers. Facebook fans 369. Twitter followers 611. Lancaster, PA About Blog Hello from Mandy and Melanie of Antique It Candles. We started Antique It Candles as co-owners to provide for our families. We are a small local candle company that is growing in Lancaster PA. We make handmade soy candles and tarts with great color and scent. All the candles are hand poured by us right here locally. Facebook fans 9,937. Twitter followers 79. 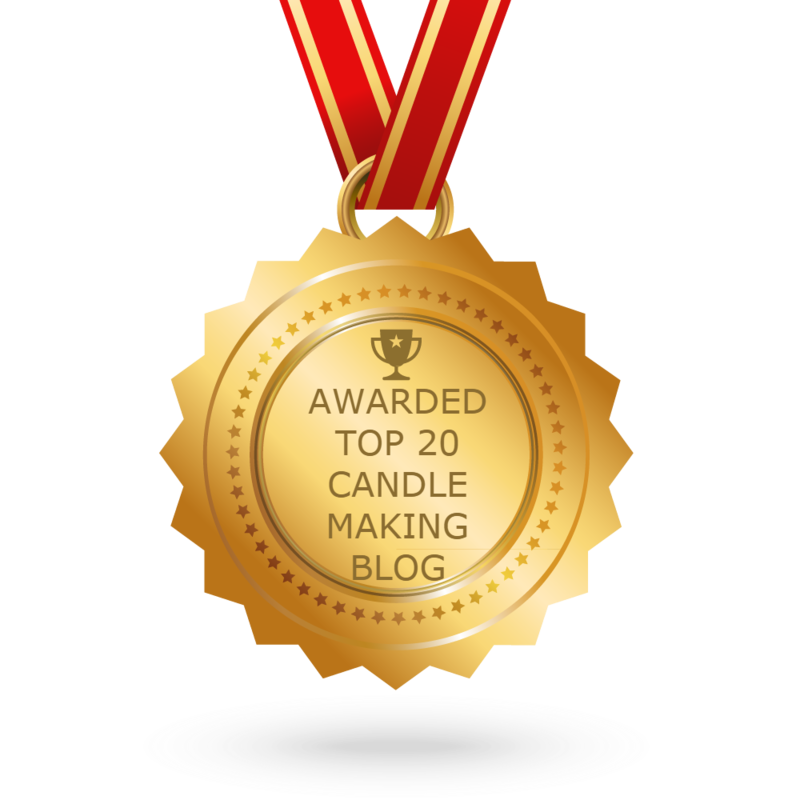 CONGRATULATIONS to every blogger that has made this Top Candle Making Blogs list! This is the most comprehensive list of best Candle Making blogs on the internet and I’m honoured to have you as part of this! I personally give you a high-five and want to thank you for your contribution to this world.